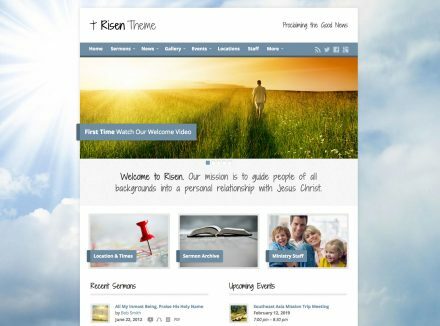 The Risen church WordPress theme has been discontinued after six years. Risen was one of the earliest and most popular church WordPress themes. It was developed by Steven Gliebe in 2012 who later founded ChurchThemes.com. Risen was sold on ThemeForest. Theme development and the commercial theme industry has changed a lot since Risen was first made. It was decided in 2018 that the time had come for Risen to be retired. The good news is that we offer better, more modern themes and a tool to migrate from Risen to them.